Szeged will be the host city of TROLLEY’s final conference on 22 and 23 January 2013. Please mark this date in your calendar! The conference will highlight project results from each partner as well as lessons learned and continuation plans regarding the pilot studies and investments in TROLLEY. 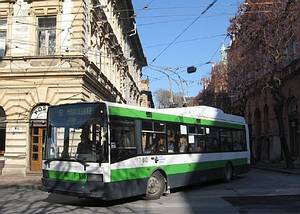 In addition, the trolleybus cities Debrecen and Budapest, Hungary, and Cluj, Romania, will present their trolleybus systems as well as future plans for their systems. Furthermore, the 3rd TROLLEY City-Industry-Summit “Synergies of trolleybus and tram systems” will take place accompanied by an innovation market place. Last but not least, the winner of TROLLEY’s Marketing Award 2012 “’hidden champions’ - innovative designs for trolleybus infrastructure!” will be presented and the TROLLEY Roadshow exhibition can be visited in Szeged. We are looking forward to welcoming you in Szeged next January for sharing latest results of TROLLEY, for discussing new ideas or future research needs with regard to trolleybus systems. The conference languages will be English and Hungarian. Please, find here the programme and the registration form. After the Swiss cities Zürich and Luzern, the TROLLEY partner city Leipzig was selected as the host city for this international gathering of the trolleybus community. The aim was to showcase the trolleybus as a smart, innovative and sustainable transport mode, as in particular in Germany the trolleybus is often not considered as a future-looking transport mode. 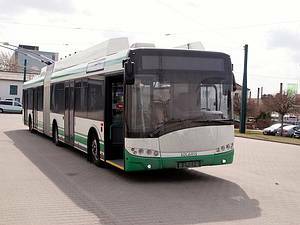 In the TROLLEY partner city Leipzig, the re-introduction of trolleybuses has been considered for the past three years. With the recently launched hybrid buses, an important first step was made in the transition to sustainable electric solutions for road-based public transport in Leipzig. The conference highlighted existing systems worldwide and in Germany as well as introduction plans for the cities of Montreal, Canada, and Leeds, UK, and newest developments from the ebus industry. The TROLLEY project presented its results from local pilot studies and investments in the TROLLEY partner cities. About 150 people listened to the presentations about future innovative electric bus transportation solutions and the development of interconnected infrastructure for cities and entire regions. All presentations of the TROLLEY Transferability Conference can be downloaded in the following. The presentations of the 3rd International Trolleybus Conference can be downloaded from the trolley:motion website. TROLLEY's city-industry-summits are meant to bring together representatives from the trolleybus industry (manufacturers, suppliers) and from European trolleybus cities. The aim of this event is to create opportunities for exchange on latest technological innovations and report on local challenges with regard to the operation of trolleybuses. The 2nd TROLLEY city-industry-summit entitled New Trolleybus Designs & Innovative Trolleybus Marketing takes place on 22 October 2012 in Leipzig in the framework of the new mobility fair 2012. Focus of the event is on communicating with the public. The tentative agenda can be downloaded here. If you wish to take part we kindly ask you to send us the filled in registration form. We are looking forward to seeing you in Leipzig! For more information please contact the TROLLEY project coordinator Alexandra Weiß. TROLLEY carried out a workshop "ebus – wishful thinking or economically realisable?” subsequent to the 10th International Salzburger Verkehrstage from 8 to 10 October 2012 in Salzburg, Austria. The main topic of the workshop was energy storage systems for ebuses ranging from stationary to mobile storage system technologies as well as smart grids and optimised energy concepts. Please find the presentations of this workshop below. For more information about the 10th International Salzburger Verkehrstage “Cities in motion – urban centres as motor of sustainability”, please hava a look at: http://www.regionale-schienen.at/3_Verkehrstage.asp?bereich=3. The event language was German with no translation. The transportation studies group of Germany's national research center for aeronautics and space (DLR) in cooperation with the TROLLEY partners Barnim Bus Company and TrolleyMotion hold the 3rd international ebus conference “Electromobility and the city bus of tomorrow” on 5 and 6 May 2011 in Eberswalde. This is the 3rd conference in Germany’s trolleybus cities starting with the first conference in 2007 in Solingen and the second in 2009 in Esslingen a. N. Focal point of the 3rd ebus conference is the development of an integrated approach for modern rail-and road-bound electric public transport by means of innovative technologies. The conference offers a platform for knowledge and experience exchange among stakeholders from policy, industry and research institutes. Please find the agenda here. For more information and registration please visit DLR’s website. A national seminar about the role of trolleybuses in the Czech Republic, trolleybus production in Ostrava and latest knowledge about the use of supercaps and battery solutions will be held by the city of Brno. The one day event "Trolleybuses - the Solution for Clean Urban Transport", which is also informing about European funding possibilities for trolleybuses, takes place on 10 February 2011 in Brno and is free of charge. English translation will be provided. To discuss technical and operational energy saving options for trolleybuses, several European city representatives and trolleybus industry players are holding the first “city-industry summit” (CIS2010) in the framework of the transnational TROLLEY project. The summit, taking place on 21 October 2010 in the Italian city of Parma hosted by the local public transport operator TEP S.p.A., is the first networking meeting of such kind in Central Europe. It shall kick-off a continuous communication process between all relevant trolleybus stakeholders such as cities, public transport operators, manufacturers, energy providers and industry, aiming at increasing the mutual exchange of local needs on the one hand, and available technical solutions provided by the industry on the other hand. Innovative ways for energy savings, energy storage systems and possibilities for an improved acceleration of trolleybuses will be discussed. 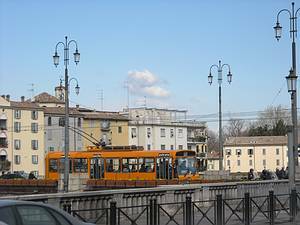 For example, ATM Milan (IT) will present first conclusions and practical experiences with its trolleybuses equipped with supercapacitors. The next CIS will take place in 2011, followed by a 3rd CIS in 2012. TROLLEY will be presented at the "InnoTrans - International Trade Fair for Transport Technology and Innovative Components" in Berlin on 23 September as part of the panel discussion "Hybrid, electric bus, fuel cell bus - Prospects for the road transport of the future". Lead partner Mr. Mackinger from Salzburg AG will represent the project. The 90 min panel discussion starts at 11.00h at booth #101 in hall 26 of the exhibition grounds "Messe Berlin". More information can be found here. On 21 August 2010, the Barnim Bus Company (BBG), partner in the TROLLEY project, is celebrating "70 years of trolleybuses in Eberswalde". In this context, BBG is looking for enthusiasts and advocates of the cleanest public transport mode: the electric trolleybus. Cities, companies, associations or institutions have the opportunity to commit themselves to the trolleybus concept by providing T- shirts with their institution’s logo. All T-shirts will then be fixed on a trolleybus positioned on the market place in Eberswalde, Germany, on 21 August, resulting in a colourful mosaic promoting trolleybuses in Central Europe. If you wish to commit yourself to the trolleybus concept, contact Ms. Mandy Kutzner (unterwegs[at]bbg-eberswalde.de or +49-3334-52233). On 14 August 2010, TROLLEY partner SZKT (public transport operator in the Hungarian city of Szeged) will inaugurate the extended trolleybus line 8. From that day on line 8 will connect the local hospital (Klinikák) with Rókus, a residential area around the Körtöltés street. The inauguration will be celebrated with a local outdoor event. This includes a special programme with music and stage for children, adults and the elderly (e.g. jumping castle, concerts, and information booths). On that occasion also the TROLLEY project will be promoted.